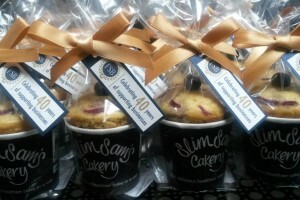 Slim Sam’s Berry and newly introduced Apple Crumble cakes were dressed up in FSB colours for their stand at the West Kent B2B event on 30th April. They went like hot cakes! A lovely tweet from Kent B2B: @KentB2B @SlimSamsCakery @FSBKent We tried your lovely cakes! and we love them!! Thank you so much, it was a pleasure having you there.